After signing to Buzz Records back in April, Lonely Parade have lifted the curtain on their first full-length effort for the label. Titled The Pits, the trio's 10-track effort will arrive through Buzz on September 14. A press release notes that the record was written about the collapse of the three-piece's social circle in their native Peterborough, prior to their move to Montreal. If you're in Peterborough and your friend has a car, the only thing to do is go to McDonald's. This song is about this boy I met, started cruising around with, and thought we were in love. We would just drive around every corner of Peterborough. I wanted us to drive forever because I had a crush on him and didn't want to go home. We used to play a lot of basketball with that guy too and dance around to pop music at our friends' apartments. We were all insecure babies, so the first time we felt alright was getting drunk and dancing with our friends. 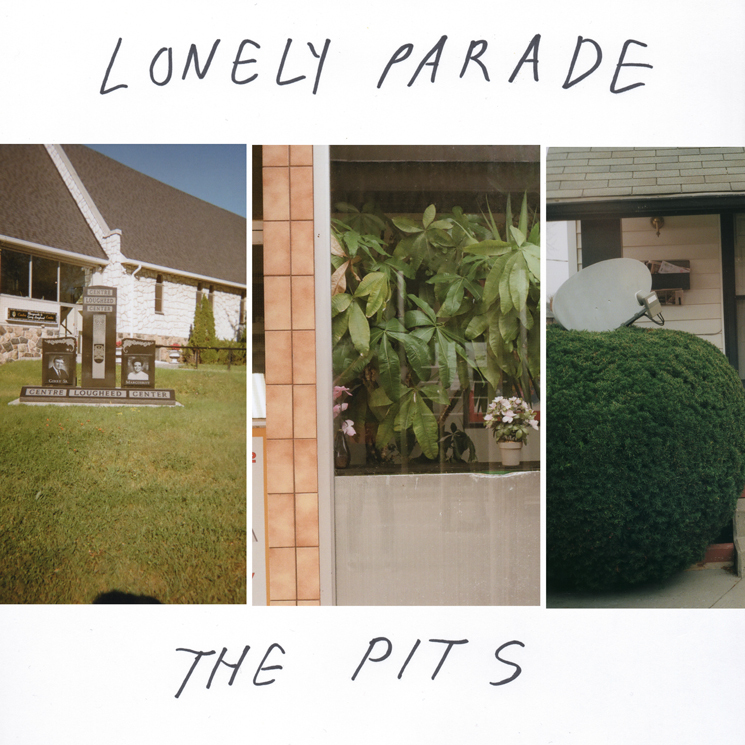 Read through the tracklist for The Pits to find Lonely Parade's upcoming tour dates below.